You know, this sort of thing is exactly what Sarah was talking about when she used the words "death panels." These Ivy League brainiacs couldn’t understand what all of us uneducated rubes know instinctively. Now will there LITERALLY be "death panels," a group of people that an individual will have to stand before and be judged? These government types aren’t brave enough to face people in person. But there will be a group of "medical advisors" who will make up a board that determines who is eligible, as a group, for certain health care procedures. This group will look at cold hard data, not warm human beings as they decide. All of these things, and more are what Sarah was talking about when she spoke of the metaphoric "death panels." These panels are the ones who set up the standards and practices as well as the bean counters who have to stick to a budget. 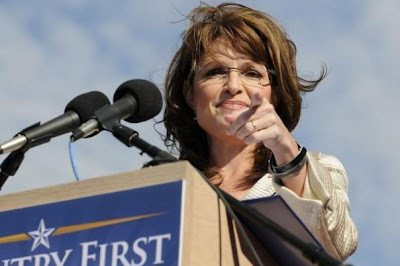 "Contrary to some assertions, Sarah Palin has a strong record supporting Alaskan seniors. For example, Governor Palin successfully obtained approval for a five year extension of a state program that provided monthly cash payments to low-income seniors. On May 23, 2007, using a rarely invoked emergency regulation, Governor Palin ordered assistance benefits to continue for Alaska’s neediest seniors after the Alaska legislature failed to fund the SeniorCare Program. After her action, the legislature responded, and on July 28, 2007, Governor Palin signed Senate Bill 4 to continue support for low-income Alaskan seniors by adopting the Senior Benefits Program. "This program continues important assistance to Alaska seniors," Governor Palin said. "I promised that seniors would not go hungry, and we worked with the Alaska Legislature to address this critical need." It was estimated that 10,700 Alaskan seniors would be able to benefit under the program. 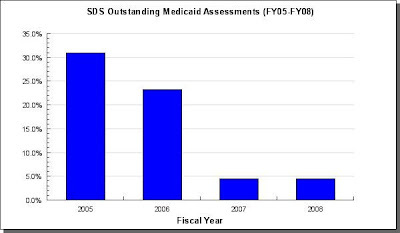 Also under Governor Palin’s tenure, on December 19, 2008, the state stepped in and took over the Mary Conrad Center, an Anchorage nursing home, when the state determined that there was "'immediate danger to the health, safety or welfare' of its residents." What is the lesson in all of this? Even with good intentions, the government generally cannot provide better health care services than the private sector. Beware of complex federal laws purporting to offer government health care. For those who want nationalized medicine, take heed of this lesson." Time and time again Sarah Palin proves that she has the leadership qualities America is looking for. While the NYC/D.C. Beltway "educated elites" are stuck in a quagmire of mediocrity and confusion, Sarah has already been there, done that, and got the t-shirt from it! It still amazes me how the Republican party is tackling this issue. Now granted, there are some sharp folks working behind the scenes crafting real reform, but they aren’t getting themselves heard. For the most part though the message from the Republicans to the democrat/communists is a hearty "slow down." Sarah Palin’s message to the democrat/communists is "Not no, but HELL no!"